If you want to reach customers on a personal level, go to the place where virtually everyone has an online persona. No, this isn’t a sappy Cheers-esque pitch to tell you that everyone on Facebook will instantly know your name (and be glad you came). But it is a public service announcement for all online business owners who are not yet marketing on Facebook. Now is the time to get to know this versatile marketing platform and figure out whether it can be profitable for your business. 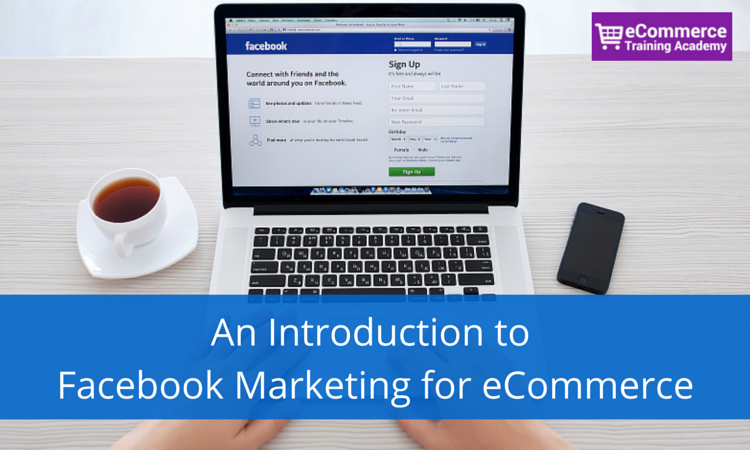 What is Facebook marketing for eCommerce? 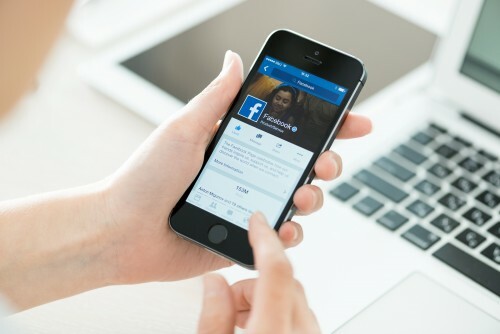 Why is Facebook marketing important for online retailers? What do you need to succeed in Facebook marketing? How to Get Started with Facebook Marketing for your online store? After reading through this post, you will have a thorough understanding of the platform and how Facebook marketing may work for your online store. From there, your mission is to create a strategy of your very own. But let’s not get ahead of ourselves. We have a lot to cover. There are actually two sides to Facebook marketing. One major part falls under the umbrella of traditional social media marketing (SMM) and the other is akin to a highly-targeted ad campaign. Depending on your specific business model, one or both sides to Facebook marketing may suit your needs. If you’re like most successful online store owners, your overall marketing strategy will include a combination of social media marketing and targeted ads on Facebook. A note about neigh-sayers: Facebook marketing has changed quite a bit in the past few years. So much so that some misguided marketers may even tell you that it has become irrelevant and that you shouldn’t waste your time. Unfortunately, that is some very bad advice. Why do people feel this way? Probably because they have tried marketing on Facebook and failed. Don’t let their failure predict your outcome. It has nothing to do with you. There is no one-size-fits-all approach. You must be willing to roll up your sleeves to do the market research, create a strategy a put it to work for you. Does your grandma have a Facebook account? How about your teenage niece? These days, it is highly unusual to encounter someone who does not have one. What does that mean for online retailers? Well, in plan English: YOUR CUSTOMERS ARE ON FACEBOOK. And not only are they there, but they are also likely to spend a great deal of time there. Imagine you were able to walk into a lounge at any time of day and find hundreds or thousands of people who might be interested in what you have to offer. This is the world of Facebook, and you have the power to tap into all of its potential. With so many active users, Facebook marketing has what seems to be unlimited potential, but there are some things you should know before you get started. Knowledge – Facebook is a social platform, which makes it stand out from other ad platforms. This means that you have to take care to avoid overly pitchy text and behavior. Knowing how to talk to your customers when they are on social media is one of the most valuable tools you can have in your arsenal. Staff – As an entrepreneur, you probably wear many hats. This can work to your advantage or be your biggest downfall. In the case of Facebook marketing, it can go either way. You or someone with a great deal of knowledge about your brand should be in charge of the content that you produce, including any and all comments and replies. 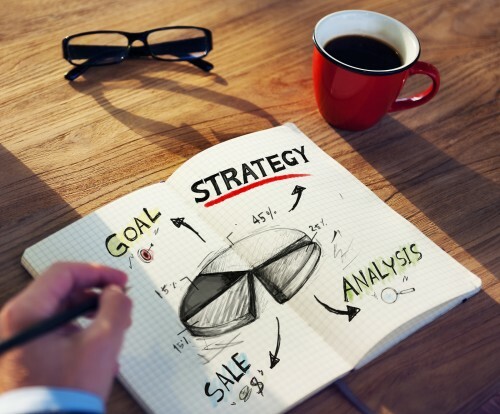 This will ensure that your marketing efforts truly reflect your brand. Someone else can handle the other stuff that needs to be done. For example, you may hire someone to monitor Facebook groups and hashtags that are relevant to your business or evaluate and report on ad performance. Money – A monetary investment may be made on Facebook ads, which can be highly-targeted to your desired demographic, but the investment is small compared to the quality of consumer you will reach. Because you can target an audience by things like geographic location, marital status and interests, you are likely to reach more of your potential customers with every ad. Time – The social element of Facebook marketing is a labor of love, but it is one that can only bring you closer to your customers, resulting in a better understanding of who they are and how to reach them. It is time intensive. And we all know that time is money. Especially when we’re talking about your time. Software – There are many tools designed to help increase your engagement and overall understanding of your Facebook audience and marketing. Some of my favorite tools also include post scheduling. If you’re interested in advanced planning and analytics (as you should be), check out Buffer and Hootsuite, And don’t forget about Facebook’s own tools: Insight, e timPages to Watch and its Pages app. If you want to run contests, tools like ShortStack can very valuable. Creativity – About 300 million photos are uploaded to Facebook every day. It isn’t Instagram (link to Instagram post) or Pinterest (link to Pinterest post), but it is very visual nonetheless. Your posts should be somewhat varied between text, links and images, but don’t be afraid to go heavy on the image posts. Images are also crucial in Facebook advertising. They should represent your brand and grab a user’s attention within seconds (no small task). Massive reach – About 890 million users login to Facebook every day. Sense of community – If you put in the time and effort, you will be rewarded with a Facebook page that acts as a community of brand advocates. It doesn’t get better than this. Advertising is easy – Instead of targeting keywords, you can target people. This works best when you know your target demographic well. And Facebook makes it easy to turn existing posts and content into ads, so you don’t need to do double work. Connect with influencers – By sharing content and tagging other brands and industry influencers, you can make connections here as easily (if not easier) than you can on Twitter. Captive audience – Although users are there to interact with friends and family and not to purchase a product or service, you do have at least some of their attention. The average Facebook user spends about 20 minutes a day on this social networking site. Algorithm changes – Facebook is a social network built on a strong foundation of display advertising. Translation: They make A LOT of money on ads. It is no secret that this is the company’s main focus. And in recent years, Facebook has taken some focus away from brand pages that do not pay to advertise. They aren’t singling anyone out, of course, but their algorithm changes always seem to favor paid content. This is why a mix of paid advertising and standard social media marketing works best. Users aren’t “primed to buy” – When you run a Google Adwords campaign, you are paying to reach users when they are most likely to be ready to buy. On Facebook, people are ready to interact and be social. This just means you have to work harder to get their attention. About 83 million fake profiles exist – Nothing is perfect, right? It is still true that 1.39 billion people use Facebook monthly, but there are also a lot of fake accounts. Some may be inactive and others may be used for less-than-ethical purposes. Don’t let this dissuade you. Your audience is still out there (Facebook is working hard at eliminating those fake profiles). Before you jump on the Facebook marketing for ecommerce bandwagon, spend some time reviewing the network itself and the communities that are most like your brand. Then, you may start to build your strategy. Once you have your strategy ironed out, you may begin posting, but not a moment sooner! Many online retailers have trouble tracking ROI on their social campaigns because they do not set proper goals. Before you even create your first post, you should know what success looks like. Only then can you create the strategy that will make it happen. Goals – In a broad sense, what are you looking to accomplish on Facebook? Are you looking to capture email addresses? Promote brand awareness? Increase sales? Your answer may be a combination of these things, and that’s okay. Just be sure to put them in order, so you can clearly define objectives in the next step. Objectives – Now that you have your goals in order of importance, it is time to drill down to the nitty gritty. If you are looking to capture email addresses, do you have a plan for making it happen? What does success look like? Is it five emails or five thousand? How much time and effort do you expect to spend to get these emails? Be optimistic yet reasonable with your objectives. Define Audience – Take advantage of Facebook’s advanced targeting tools to clearly define your audience before you place an ad. And much like with any other advertising platform, testing is always recommended. Create an ad that goes to your core audience, your tried and true, but it’s okay to test different markets and interests too. You may be pleasantly surprised. Type of Content – To get the most out of your efforts, use all of the tools at your disposal. People like variety and they like to be entertained. Images, videos, status updates and giveaways can all help you achieve your objectives. By the way, contests are a great way to collect email addresses. Just be sure your prize is something relevant to your brand, or you may end up with email addresses that are useless to you. If you are truly invested in Facebook marketing, your strategy will probably include Facebook ads. Ads can be used to increase likes on your Facebook page and boost visibility on your Facebook posts. But ads can also be used to drive traffic directly to your website. The ad you design should help you achieve your objectives. How often to post on Facebook is a very common question, and it is one that can vary based on the brand. I often recommend starting with one post each day and slowly introducing an additional post during peak times, such as on the weekends. Facebook’s algorithm seems to favor brands that are consistent, but posting too much can dilute your message and annoy your community. This is why one post daily works well for most brands. If you happen to have something amazing or time-sensitive to say after a post has been sent, though, don’t hold back. As you begin posting, keep an eye on post performance. This will tell you whether you are posting at the right times and what type of content is performing best for you. I’ve already mentioned Buffer and Hootsuite above, but some other tools that can help with post creation, especially on the creative end, are Pagemodo, Canva and Picmonkey. Don’t get too hung up on what your competitors are doing, but you should definitely keep an eye on their pages. Use Facebook’s Pages to Follow feature to help. Also, follow them and any active followers that you can. And for even more creative ideas, choose your favorite Facebook accounts from the top 500 retailers and follow them too. If anyone has ever tried to talk you out of Facebook marketing, that should give you some indication that it is not easy for every brand. This does not mean that it is not worthwhile. With the right tools and know how, you can turn your Facebook page into a source of revenue for your brand. Just don’t think you can set it and forget it! 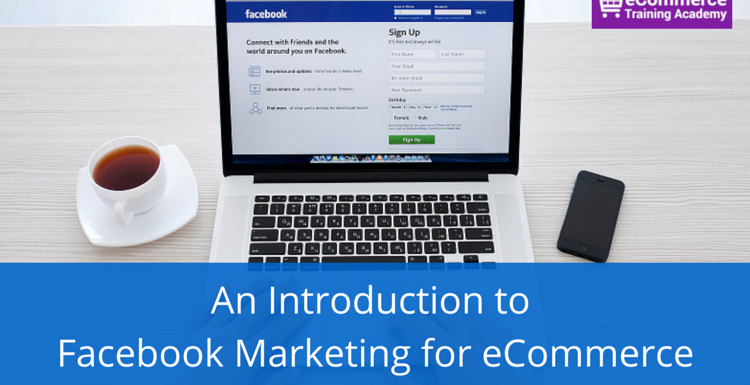 Thirsty for more Facebook marketing knowledge? Signup for one of our Facebook webinars where we will explore things like ad creation and post timing in much greater detail.